Are you considering a plastic surgery procedure? Here are some essential nutrition tips to help boost your health and speed up your recovery period. At our Kelowna private hospital, our team of board-certified surgeons are qualified in a wide range of plastic surgery procedures from breast surgery to facial cosmetic procedures and can help you fulfill all your aesthetic goals in a safe and natural way. Any surgery, even the most simple, stresses the body, and good nutrition following your procedure will support your immune system, keep away infection, and reduce any swelling, pain, and inflammation. 1. Water - Staying hydrated is critical during your healing period as it will reduce your side effects while on pain medication and minimise your risk of infection. 2. Fruits and vegetables - Adding fruits and vegetables to your diet will provide your body with much-needed vitamins to help you fight infection and heal faster. In particular, dark leafy greens, red onions, broccoli, pineapples, and apples will help reduce any swelling. 3. Omega-3 fats - Adding foods rich in omega 3 fats such as salmon, mackerel, fish oil, and flaxseed oil are an excellent way to reduce and control inflammation during your recovery period. 4. Spinach - Spinach is one of the most important foods to eat while you’re recovering from your plastic surgery. This is because it’s packed with nutrients such as Vitamin E, Vitamin C, and beta-carotene. 5. Eggs - Did you know that the yolk of an egg contains amino acids that are excellent for controlling inflammation, minimising pain, and speeding up your recovery? 6. Spices - There are many herbs and foods that are well-known for their anti-inflammatory properties such as ginger, chillies, pepper, and parsley. NEVER skip your meals during your recovery. Failing to eat enough after your surgery can significantly slow down your healing and delay the closure of your incisions. Remember, your body needs protein and other nutrients to build healthy new tissue and heal the tissue injured by surgery. 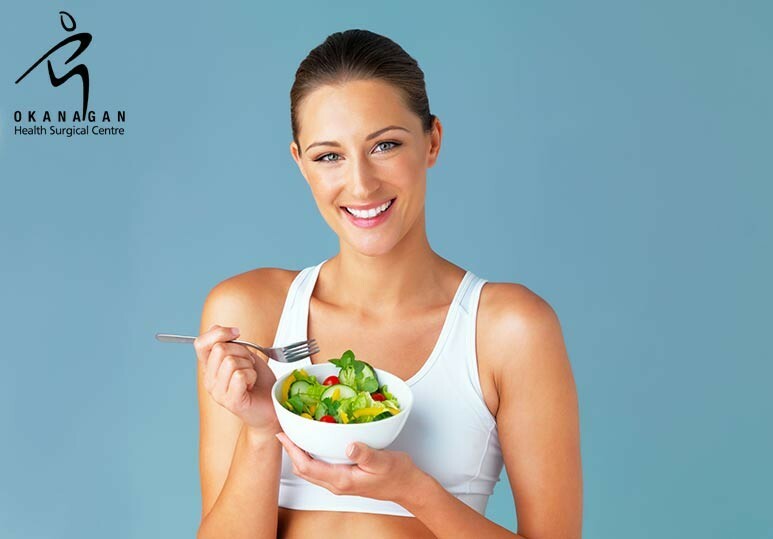 To find out more about the importance of a healthy post-surgical diet, or to enquire about our range of cosmetic surgeries, contact our Kelowna private hospital at (250)-868-9799 or fill in our online contact form.